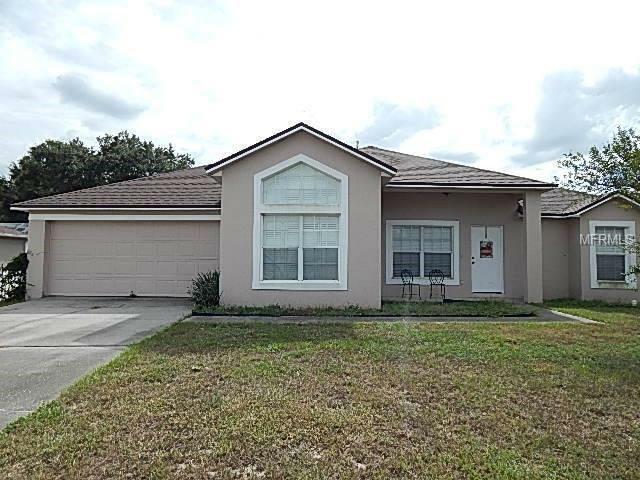 Come see this 3 bedroom, 2 bathroom home with 1103 square feet in Mascotte, Florida. Home had a new roof put on in 2017. Back yard is fenced in and you have a nice screened in patio in the back to enjoy your morning coffee. Living Room / Dining Room combo. Tile is in the wet areas (master bathroom, 2nd bathroom and kitchen), laminate is in the master bedroom and in the living/dining room and carpet is in the 2nd and 3rd bedrooms. This home is located in the Worthington Place Subdivision in Mascotte and has NO HOA. You are about 10 minutes from Clermont and 45 minutes from Orlando. Easy access down Hwy 33 to get to the North entrance of the Florida Turnpike. Make an appointment today to view this home. Buyer is responsible for verifying all room measurements. Pet Restrictions: Per City and County CCRS. It is the buyers responsibility to verify.